The farmers and millers of Fairfax in the late 1800s didn’t have a countywide school system with a two and a-half billion dollar budget, but they had the same need for education. Out of that came the Forestville Schoolhouse, built in 1889 some 19 years after free public education was begun in the county. It was named for the area called Forestville, which today is the community of Great Falls. A school from the Floris Community, where Frying Pan Farm Park in Herndon now sites, had been vacated in the early 1900s, and that building was moved and joined to the Forestville Schoolhouse in 1911. Thus came about the L-shaped building that continued to serve as a school until 1922. It then became a private residence before again serving the community as its local post office from 1959 to 1982. The registration form states that these were two of fewer than 15 one-room schoolhouses remaining in the county, and Forestville was notable in that it still stood on its original site. The Grange was a national movement originally called the Order of the Patrons of Husbandry that started in 1867 with a man named Oliver Hudson Kelley. He established the first Grange in western New York as a political, educational and social organization for farmers. The Great Falls chapter was formed in 1920, and the hall was built nine years later in the center of town. This was the first grange hall built in Virginia, the first of five eventually built in Fairfax County, and the hall became the largest chapter in Virginia in 1956. During the rise of the movement, the Great Falls Grange became a lobbying force that brought roads, schools and social services to the area. The Grange also funded a new school and established a pulic library. Think of the barn-raising scene in “Oklahoma,” where the community came together for a reason and turned the affair into a picnic, a meeting or a dance. Fairfax County was dairy farms when the Grange Hall was constructed in 1929 to be that community gathering place. The architecture reflects a style called Craftsman – a prominent porch supported by concrete pillars and wood shingling in the gables. The Hall actually sits on a raised foundation of terra cotta bricks, and two concrete staircases lead up to the front porch. Visitors enter a foyer that leads into a one-room auditorium with hardwood floors, built-in bookcases, an arched ceiling and a stage at one end. The basement is similar to the main floor but with dining facilities and a kitchen under the main floor’s stage. Grange Hall changed little over the years. Upon its placement in the National Register it still had its original wood floors, and its original plumbing was still functioning when it was placed on the Register. The original hardwood floors eventually were replaced because of fire damage. Today, the area’s rolling hills, parkland and large lots help a visitor visualize the dairy farms of years past when Great Falls was the leading dairy production community in Virginia. In those days of dairy and farming, the Grange Hall rose to host meetings, religious ceremonies, ice cream socials, dances, spelling bees, debates, carnivals, and voting. The suburban lifestyle that spun out of the growth oozing from Washington replaced the farms and diminished the influence and need for the Grange. The building was sold to the Fairfax County Park Authority in 1980, and the Park Authority acquired the Forestville Schoolhouse three years later. The Grange and the Forestville Schoolhouse are still used today for meetings and social events. 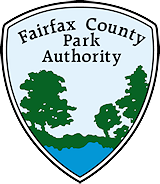 The Fairfax County Park Authority obtained Forestville School in 1983 and the Great Falls Grange in 1980. They are in the 9800 block of Georgetown Pike (Route 193) in Great Falls. More information is on the Great Falls Grange website and on the Forestville Schoolhouse website. This entry was posted in Uncategorized on August 10, 2016 by Fairfax County Park Authority.